The official color is green, at least according to blizzard's new mount/companion feature on armory. this is true, but I can't seem to find the purple one in there, or where that drops. Purple one likely has no source. OR it is on Heroic Ragnaros, since he drops the Orange one 100% on Normal. 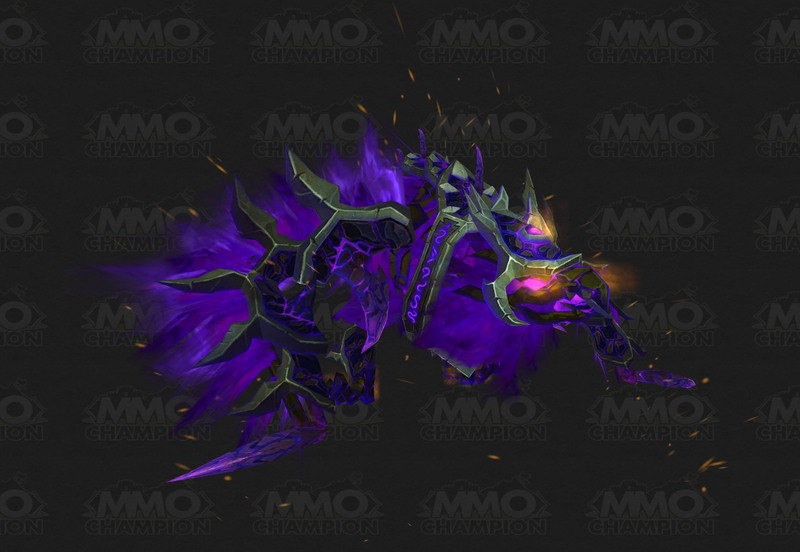 Well, they have not as of yet announced the Cataclysm Gladiator mount. Chances that one of these could be it? 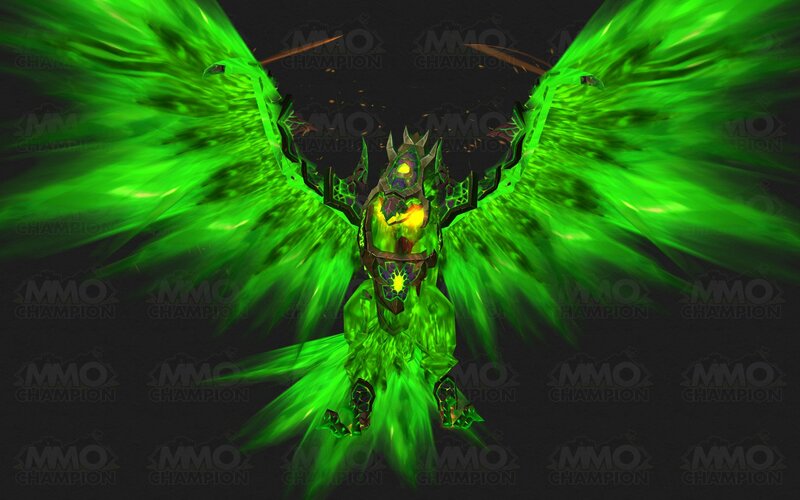 http://media.mmo-champion.com/images/news/2011/may/corruptedfirehawk.jpg will most probably be the one rewarded for the meta-achievement. and http://media.mmo-champion.com/images/news/2011/february/berylfirehawk.jpg is summoned through Felfire Hawk, which has no source. This mount is NOT ground mountable. It can only be mounted where you can fly. Bug or not is unknown. -there are super short orange-y spark-like things that radiate from the mount. -when using Burgy Blackheart's Handsome Hat, the armor no longer renders completely - there's just empty space where the armor should be. It's totally a redone proto-drake. Side by side they move identically. These beautiful guys (or... girls, I don't really know the deal with giant, fiery birds) make no sound whatsoever while flying. No beating of wings, no random yelps, roars, screams, and no engine noise. Flying has never been more relaxing (and silent). EDIT: these purple behemoths now flap with their wings. And you can hear it, too. Shame. It's a beautiful mount, but on my server (Borean Tundra) there's an orc warrior named snagtooth who always, without fail, parks his right in front of the auction house in order to show it off. If you buy anything and go to the mailbox to get it, you usually have to root around to find the mailbox because he's right there. It was funny at first; everyone in my guild jokes about how needy he is for attention. But it's starting to get a little pathetic if you ask me. I mean, if you're queuing for a dungeon or whatever, use a little common sense and park it out of people's way, not IN their way. The armour turns gold if you are close to Firelands. When you see the shadow of this mount, you will @#$% bricks! Summons and dismisses a rideable Corrupted Fire Hawk. This is a flying mount. "Millagazor was a fire hawk loyal to Ragnaros. At this time it is unknown how many of Millagazor's eggs were corrupted."